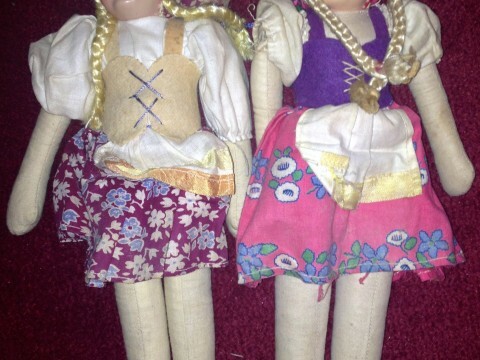 As a child, these dolls sat on a little chair in my bedroom. They were unlike any other dolls I owned–their hair could not be brushed and their clothes were sewn on. My mom, who gave them to me, said that they were from an Uncle who was stationed in Germany after World War II and bought them for her. 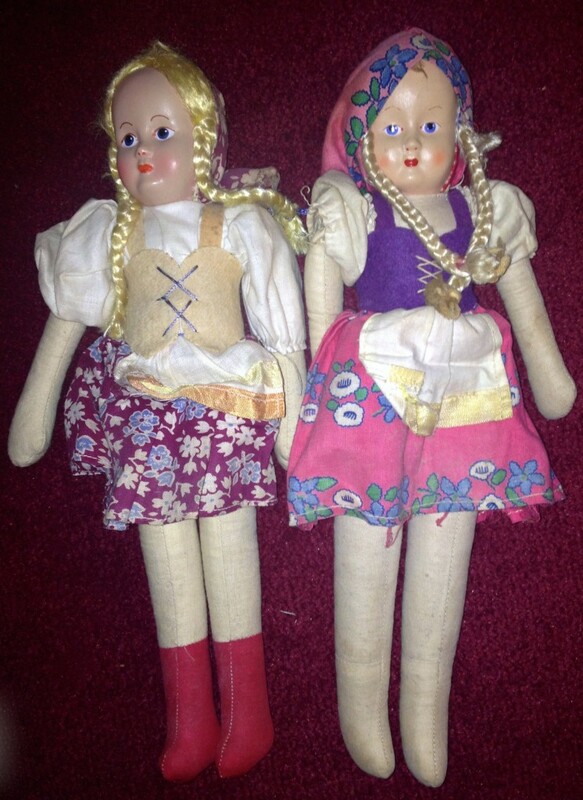 What is odd is that the dolls say "Poland" (NOTE: not Polska) on the back of the leg. This work by Krystyn Moon is licensed under a Creative Commons Attribution 4.0 International License.